You are here: Home / Weekly Columns / Opinion / What is SSL Certificate and Why Your Business Website Needs One. What is SSL Certificate and Why Your Business Website Needs One. (ThyBlackMan.com) What is SSL certificate? If you’re looking for an SSL certificate for your website, you may be asking this question. The last five years have seen a lot of changes in the website technology. CMS solutions and new programming languages are making website development easier, but figuring out whether you need an SSL certificate, especially if you’re not a programmer, can be rather difficult. Alongside mobile optimization and SEO-friendliness, one of the big features of many modern websites is an SSL certificate. Often you’ll see web browsers like Google Chrome notifying users about the presence of SSL certificate on websites. This is among the most confusing things for business owners, because the modern browsers don’t provide sufficient explanation of the difference between HTTP and https. Unlike most trends, SSL certificate doesn’t improve your website’s layout or functionality. Is it better just because web browsers mark HTTP websites as ‘not secure’? Do you need an SSL certificate or you can continue to use the ‘unsafe’ HTTP application protocol for your business website? Here are the answers. Website owners often assume that “https” protocol has something to do with their website’s performance because almost all big companies use SSL certificate. In fact, the term “https” describes something different; a secure version of HTTP. SSL certificate is a security technology that enables encrypted data exchange between a web browser and a server. When a secure link is established, all the data shared between a web browser and a server remains private and secure. When you use an SSL certificate on your website, the standard HTTP protocol is replaced by https. The additional “s” stands for security. For example, your business website collects visitor’s information such as their contact details, credit/debit card details, and other personal data. Without SSL certificate, this data can be compromised, meaning that a cyber attack on your website can easily expose this data to hackers. With the implementation of SSL certificate, your website uses encrypted links making it hard for anyone to steal your data. One of the major benefits of using SSL certificates is security. If you run or manage an eCommerce website, it is important for you to install an SSL certificate. The reason is people make payment through your website or they add their personal details on your website which means their data needs to be protected. With an SSL certificate, you can provide an additional layer of security to your website. That said, an SSL certificate adds more credibility to your website. Imagine a potential customer visiting your website and their web browser tells them that the website is “not secure”. The customer may feel less confident and will try to avoid making any transactions on your website. This issue can cause a lot of loss to your business. One more benefit of using SSL certificate is SEO advantage. If you remember, Google once released an update in its algorithm and websites that used Accelerated Mobile Page (AMP) integration were securing top positions in the search results. Google is doing the same with https (SSL enabled) websites. It doesn’t mean that SSL certificate is the only ranking factor, but it really helps in terms of search engine rankings. There are two ways to get an SSL certificate for your business website – free and paid. We all love free things, so let’s talk about it first. There are SSL certificates which you can use for free. A community called Letsencrypt is an open-source platform that allows website owners to install SSL certificates for free. You can use these certificates, but you need to check whether your hosting provider allows you to integrate free SSL certificate or not. Some of the hosting providers allow automatic implementation, while others require you to manually add and renew certificates. The age of these certificates is three months, so you’ll need to renew them as per your hosting provider’s terms. The paid solutions are also there, so if you don’t need Free SSL certificate for your website, you can buy one from SSL2BUY. 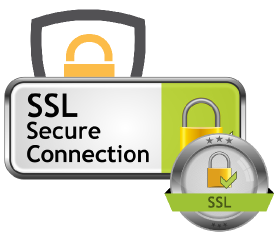 SSL2BUY is the Cheapest SSL certificate provider in the world.